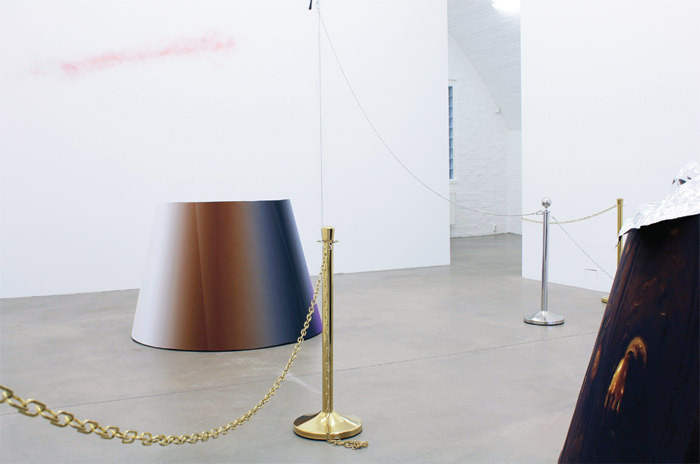 View of “Andrea Winkler,” 2011. 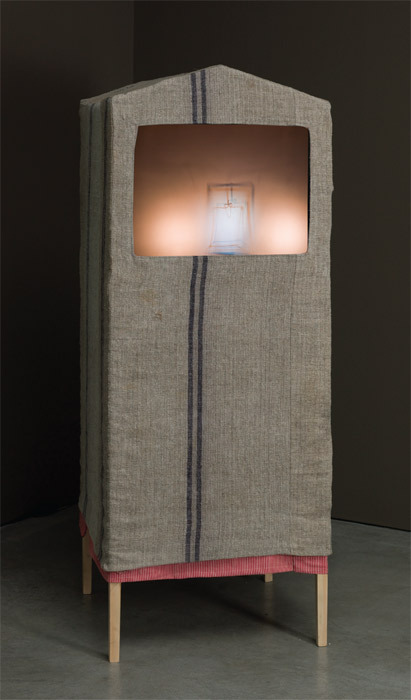 João Penalva, Petit Verre (Small Glass), 2007, shadow theater, wood, fabric, and PVC (music commissioned from Zhuomin Chan), 63 x 24 1/4 x 24 3/4". 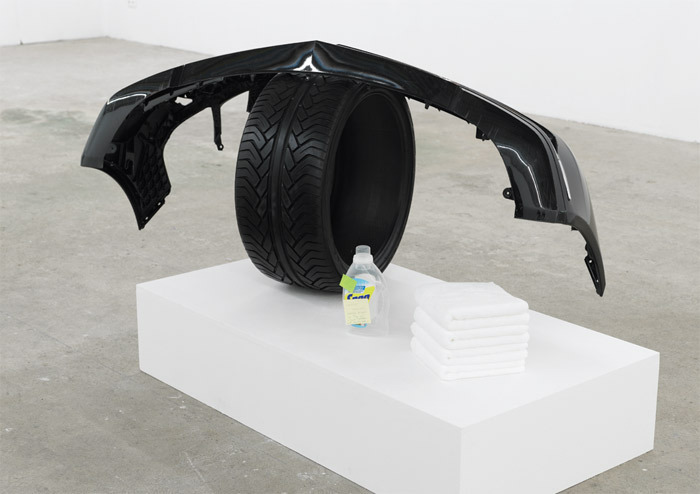 Yngve Holen, sensitive to detergent, Tired, 2011, front bumper, tire, detergent, handwritten Post-it notes, cotton towels, 11' 11 1/4“ x 6' 2 3/4” x 2' 7 1/2".